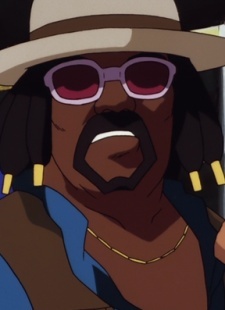 Domino Walker is a wanted dealer of hallucinogenic mushrooms which are illegal. Domino grows these mushrooms on his ship on Europa. The ship was involved in a hit and run with the Bebop before it crash landed on Europa. Ed captures Domino but she releases him when Domino bribes Ed with a bag full of mushrooms that he claims are "Worth 100,000 Woolongs each". In the end it turns out that they were ordinary mushrooms.